I wrote this the first night the game was released. They rest is explained in the story. I gotta get this off my chest so I'm just posting it the way it is. Final Verdict is all that matters. I wrote some notes as I always do while playing games. 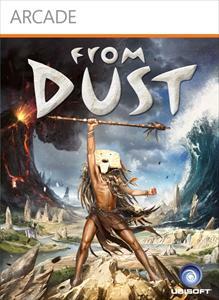 I beat From Dust in 1 sitting and never played it again. I gotta post my review right? Well here it is. Don’t be a Jimmy!